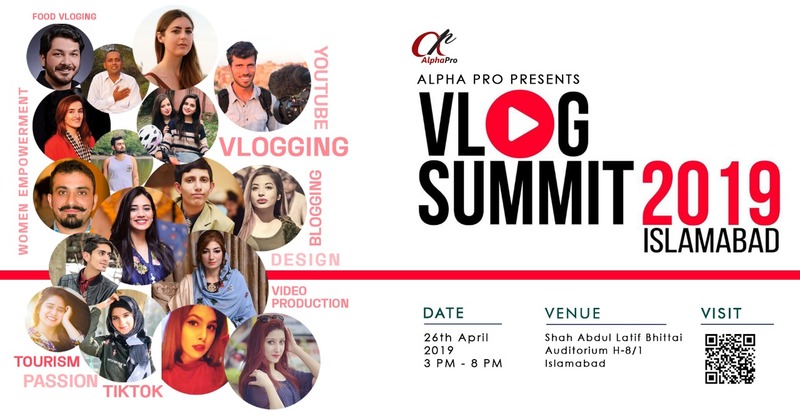 AlphaPro is organizing a Pakistan First of its kind Vlog Summit 2019 on 26th April, 2019 at Shah Latif Bhittai Auditorium Islamabad. The event will have international and national Vloggers on the same platform to share their journey of #Vlogging. They will highlight their experiences and share their views about the natural beauty and enrich multi-dimensional culture of Pakistan. This is the great time for Pakistan showcasing the real image to the world as a peaceful, beautiful and tourism friendly and most importantly safe place to travel for everyone. Social media is the best way to show the world the real picture of our motherland Pakistan. The current government, as per Imran Khan's vision has also taken steps in order to promote tourism in Pakistan and promotes it as a tourist state. AlphaPro has always supported these positive causes in the past and yet again it is coming up with another one of a kind event in Pakistan. The event is going to be a very exclusive and premium as AlphaPro has invited international traveler and Vlogger Jordan Taylor, best known from her Instagram username ‘@travellight21’ to Pakistan specially for this event and for exploring the hidden beauties of Pakistan. She is a travel enthusiast who left everything behind just to travel without any fixed destination in mind. Jordan tells that Pakistan was one of the most insisted destinations by her followers. Besides Jordan, Huubvander Mark from Netherlands will also join this event. Local famous Vloggers Mubashir Siddique (Village Food Secrets), Scooty Girls, Sana and Afra along with Famous fashion vlogger Saresha who is well known for her Vlog “Dairy of Saresha” is also going to be speaking on the event. The summit is going to be focusing on how Pakistan is safe for traveling specially for people coming with their families, they can enjoy one of the best tourist destination. Naturally blessed with amazing views and scenery Pakistan is somehow the most undiscovered destinations by the International tourists. The natural beauty of Pakistani land along with the hospitable cultural values and unique road side domestic food has a lot to be offered to the tourists and this needs to be broadcasted to the world using the modern day most powerful medium of social media. With the change in trends of digital media vlogging is the most current trending medium on social media. AlphaPro is striving to bring the latest digital marketing trends in Pakistan. 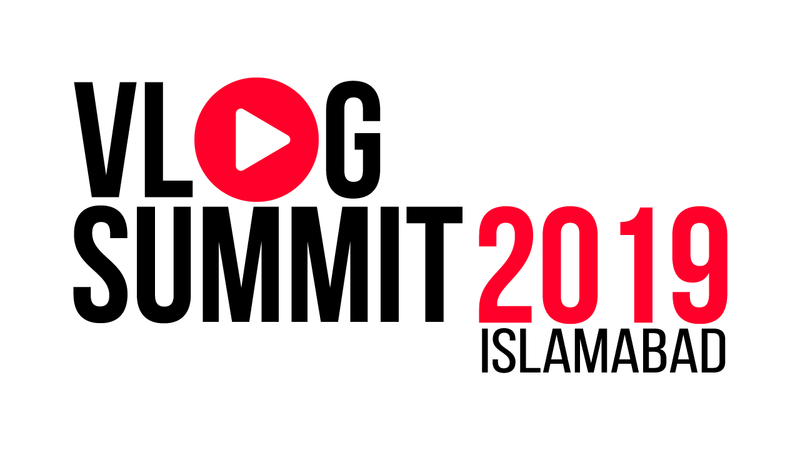 Last year AlphaPro organized the first ever Social Media Summit bringing the social media gurus on one platform in order to spread their knowledge and this year it has come up with Pakistan's first ever Vlog Summit. "As always we want to bring the latest buzzing trends in Pakistan, in order to make the image of Pakistan as a positive state and nation. Naya Pakistan is not just a political vision but also something very close to my heart as I like to present the real image of Pakistanis across world. Indulging international vloggers will definitely bring the positivity back to our country which we really deserve."